for $575,000 with 5 bedrooms and 4 full baths. 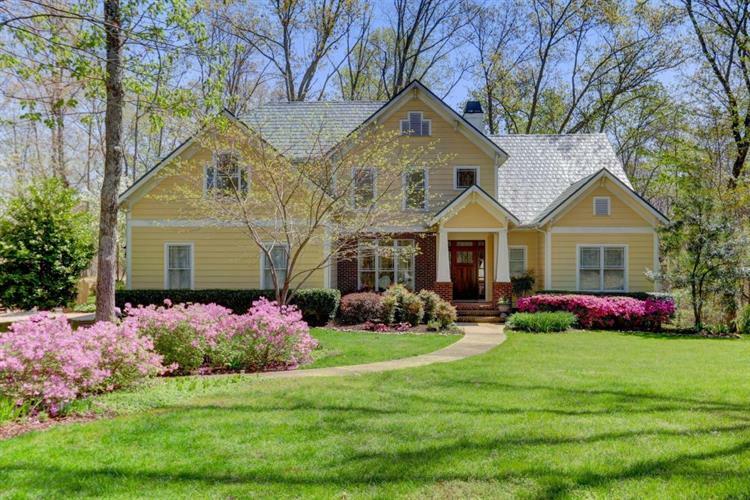 This 3,217 square foot home was built in 2007 on a lot size of 1.75 Acre(s). Stunning home beautifully positioned on a 1.75 acre lot in gated community of Ladd Landing, just minutes from Watts Bar Lake. Immaculate home offers BEAUTIFUL HARDWOODS, main level master suite w/luxurious master bath, Gourmnet kitchen w/Mouser cabinetry, Sub-Zero frig & Wolf appliances, island & solid surface tops.Vaulted family w/FP & built-ins, formal dining room, & keeping room overlooking beautiful private backyard. Main level also offers 2nd bedroom & 2nd full bath. Upstairs there are 3 additional bedrooms PLUS 4thBR or bonus room & 2 full baths. Screened-in porch, 2 car garage, & professionally landscaped GORGEOUS yard. Subdivision offers clubhouse, pool, 4 miles of walking trails, & towncenter.Located just minutes from west Knoxville, Oak Ridge, & Lenoir City.